17 day COP Contingency from 1-2-19. Owner Financing Available. 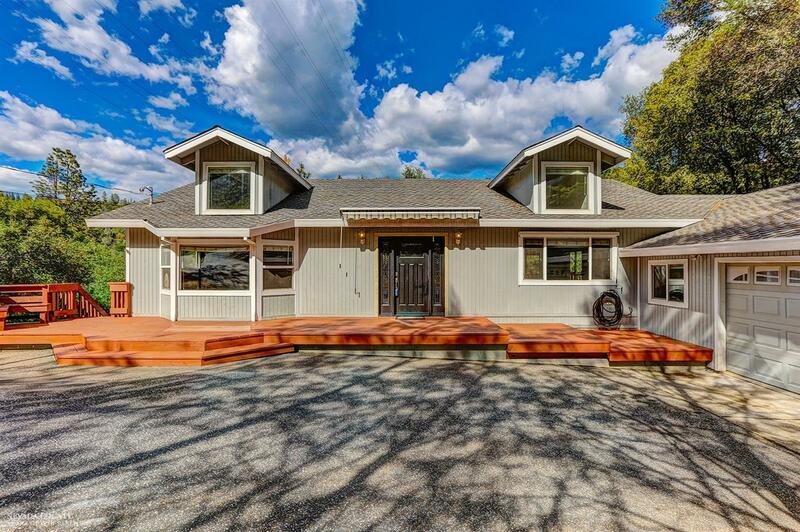 Designer Qualities & Creek side Acreage set the stage for this Spacious & Updated Residence. Privacy & Tranquil Views highlight the well-located property. Leaded glass door & travertine entry to Ideal open Great Room. Floor plan is generous & offers flexibility in space uses. Dream newer Entertainer's Kitchen is central to everyday living featuring: Beautiful Cabinets, Quartz Counters, Center Island, ss professional quality appliances & hood, tumbled marble backsplash, farm sink & breakfast bar. TWO large living spaces plus Dining radiate from the kitchen with Hardwood Floors. Main level living offers a very spacious master bedroom & spa-sized bath, Plus access to Outdoor Living w/ the incredible entertaining deck.Downstairs are 3 Spacious Bedrooms w/access to private decking and a large BONUS ROOM/OFFICE. Gentle land offers many uses. Excellent K-8 school just down the road. HIGH SPEED CABLE INTERNET!